You’ve heard it before: “Not as clumsy or random as a blaster… An elegant weapon, for a more civilized age.” The line from long, long ago in a galaxy far, far away that started the quest for science fiction’s most coveted weapon. Previously, we shared a video from Michio Kaku as he went on his quest to find a way to produce a real lightsaber. Well some time has passed since Doctor Kaku’s quest, and science is moving forward faster than ever. In late 2013, Neil deGrasse Tyson and Brian Cox talked about how a lightsaber could in fact operate with our current understanding of light and plasma particles, and the conversation reared its head again near the close of 2015! 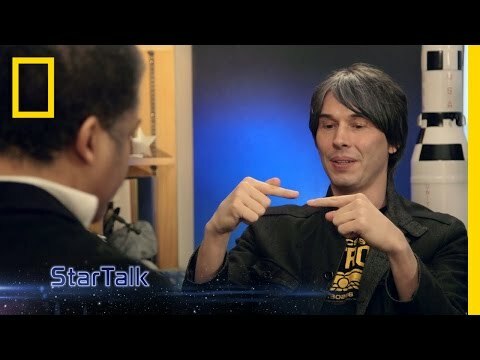 Check out the latest in the world of photon photon and gamma-gamma scattering from Dr Brian Cox and Neil deGrasse Tyson’s conversation below!